Getting small quantities of ingredients processed efficiently and precisely can be a massive task. 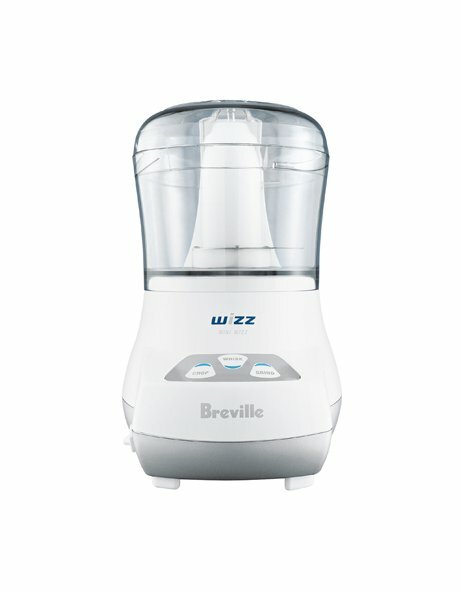 Whether it be pungent cloves of garlic you just don't want to touch, baby food that needs to be pureed to a smooth consistency, nuts chopped finely for a cake or a bit of pesto for some pasta, Breville's Mini Wizz processes them easily and efficiently. Mini Wizz can also be a cooks best friend in a small kitchen where cupboard space is limited.